Now this on is obvious but, sunscreen is one of the most important things to bring on your cruise. Don't forget to bring it with you to the pool deck, into port, on-shore excursions, and even just when walking around on the ship. You can get this Neutrogena SPF 85 Dry Touch sunscreen at Amazon for just $10! This is another really important one. 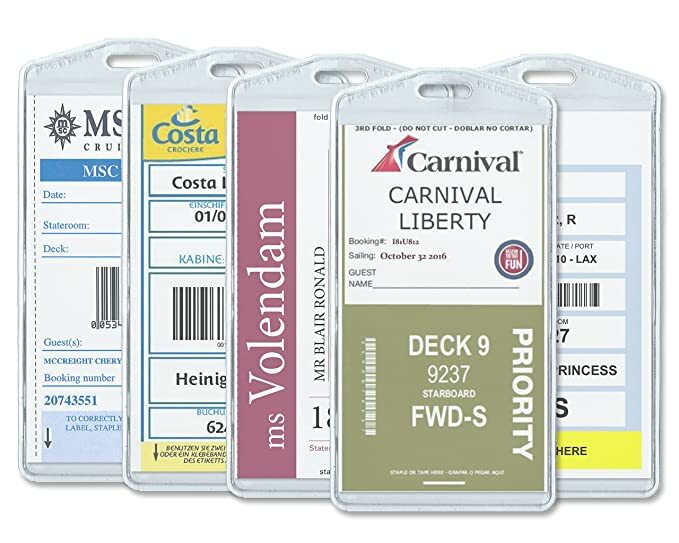 You can slip your cruise documents right into these specially made cruise luggage tags. If you end up losing one of your bags, whether it be checked or carry-on, you can be sure that it will make it to your stateroom. You can get this 8 pack of cruise luggage tags for a low price of just $10 here! Everyone who has been on a cruise with more than one person knows that there are limited plugs in your stateroom. Why fight over the plugs when you can just bring a power strip?! 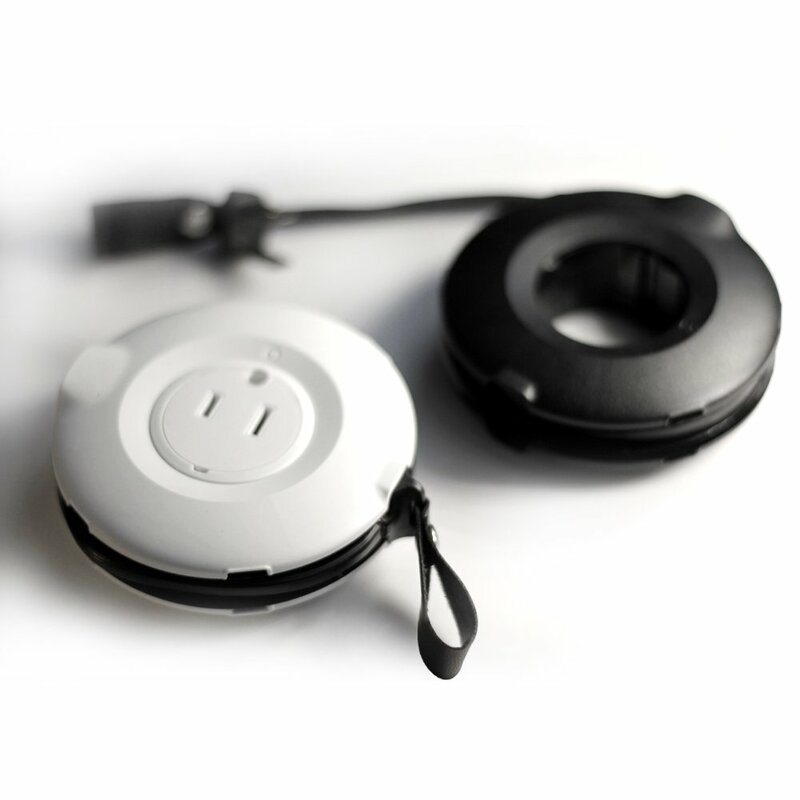 It includes three extra plugs and two USB ports that protect against power surges. You can buy this 3 outlet power strip here, or if you need more than 3, a 6 outlet strip here. Did you know that the water that comes out of the tap in your stateroom is filtered AND purified?! This means that you have an unlimited supply of free water. Buying a bottle of water on the cruise ship or in port can cost you up to $6! Why spend that ridiculous amount of money on water when you can just buy this CamelBak water bottle that keeps your water cold for hours?! It costs only $15 dollars at Amazon, and will last your whole cruise and beyond! When on a cruise, you are usually carrying a ton of things around. Then, all of a sudden you need your cruise card to pay for something, get a drink, or unlock your stateroom, but you can't find it. Eliminate this stress of not knowing where your cruise card is, or having to dig through your bags to find it, by buying a lanyard. You can get a hole punched in your card, either before you get on the ship at check-in, or at the gift shop. Then all you have to do is clip it on your lanyard! You can get this pack of 10 lanyards in all different colors at Amazon for just $11! If you are a person who is prone to motion sickness, you are definitely going to need this. At times, there can be some really rough seas, and the ship will rock a lot. This can cause you to become very nauseous and put a damper on your cruise. Why ruin your cruise when you can just buy one or two of these bands at Amazon for just $8?! Whether it be a dining table or the surfaces in your room, thousands of people have touched and gotten their germs all over it. I know what your thinking, "But the crew cleans all of the areas before the next guests!" But the truth is, they have so many rooms and areas to clean, that they don't have time to do a thorough job. Also, they use the same rag in every room! 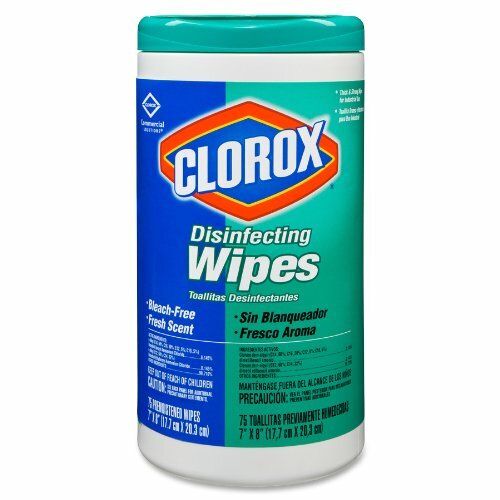 You don't have to worry about all of those dirt and germs if you use these disinfectant wipes for just $8 at Amazon! I guarantee that when you wipe off the surfaces in your staterooms, your cloth will be covered! Most cruise ships only sail out of the U.S. half of the year and are usually built in Europe. This means that half of the small amount of plugs in your stateroom are European. To increase the amount of plugs in your stateroom, you will need a plug adapter. Instead of buying an extremely over-priced converter in the gift shop on-board, you can buy this one at Amazon for just $7! You will be so happy once you are in your stateroom when you have more than just one plug! Now this one may be a little pricey, but it is definitely worth the money. 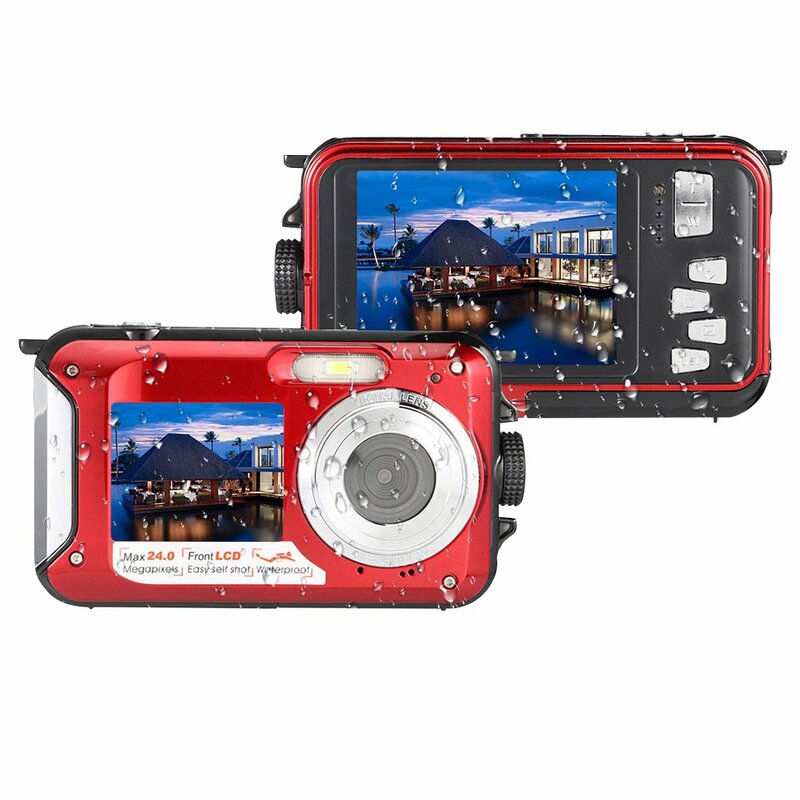 This waterproof camera will make your memories last forever. You don't have to worry about taking pictures in the rain, getting the camera wet by the pool side, and you can also take amazing underwater pictures! This camera also includes a digital screen on both sides for underwater selfies! You can buy the camera here and a 16 GB micro SD high speed memory card that is necessary for this camera. These water shoes are perfect for shore excursions like hiking and kayaking tours, beach days, and pool days. They are unisex and have an amazing sturdy soul to support your feet for hours! They are also great for just walking around the ship! You can get a pair for your whole family at Amazon for just $16-$21 (depending on size)! If you don't want to buy a plug converter and a power strip, you can buy this power donut that includes plugs, USB ports, and a plug converter. It is a small and compact way to lessen your amount of stuff for just a little bit more money. Also, if you bring a longer power strip on-board (not like the 3 plug strip listed above), it is possible that the person who is checking your bag (this completely depends on the person who is checking your bag) could confiscate it. This donut completely eliminates this problem. You can buy it on Amazon, here.